Do you need travel insurance when you take a cruise? It all depends on your comfort level when it comes to risk. Most cruise lines will not refund ticket costs if something happens at the last minute to prevent you from boarding, or boarding but not finishing the cruise. 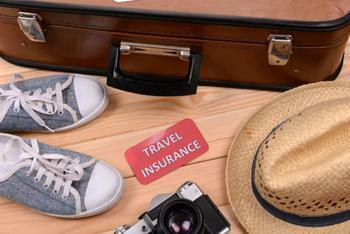 So it's not surprising that many consumers opt for some level of travel insurance to cover them. Squaremouth, a website where consumers can compare travel insurance policies, points to three common mistakes consumers make when they take out cruise travel insurance. Perhaps the most common mistake is drinking too much. After all, it's pretty much a constant party atmosphere from the time you get on board. All-inclusive packages sometimes tempt cruisers to make sure they get their money's worth at the bar. But drinking excessively is never a good idea, particularly at sea. According to Squaremouth, travel insurance doesn't usually cover an injury or illness that occurs when you're plastered on a cruise. If the cruiser must leave the ship and return home because of an injury that occurred while drunk, the insurance policy is invalidated. "Your judgment is impaired when you're drunk, so anything that occurs while you're under the influence can be automatically excluded," said Squaremouth Claims Director Brandi Morse. The second mistake is not documenting losses. Just as you would do if your home were damaged, you need to present the insurance company with evidence to support your claim. A typical example is a tourist returning home, only to find something was stolen from his or her bag. The proper procedure is to immediately notify the cruise line. Unfortunately, many travelers fail to do that. The third mistake, according to Squaremouth, is buying travel insurance from the cruise line. It's sort of like buying the rental car company's car insurance. “Travel insurance offered by cruise lines is often designed to boost profits, not to provide comprehensive coverage for travelers,” Morse said. Cruise lines can receive large commissions from insurance underwriters and that often cuts into the coverage these policies provide. In fact, Squaremouth cautions that policies purchased from a cruise line often have big gaps, covering only the cruise portion of the trip. A comprehensive policy should cover everything travel related, from the time a traveler leaves home to the time he or she returns.